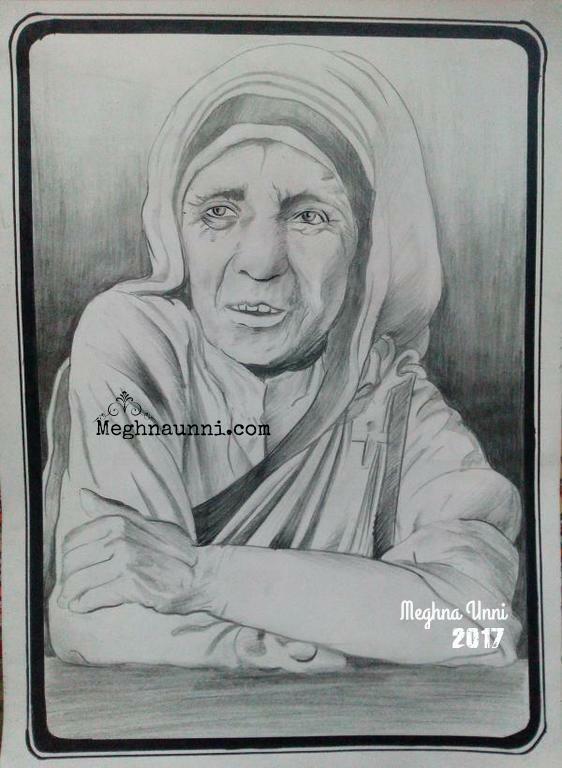 “Peace begins with a smile” – Mother Teresa Pencil Sketch done by me recently. Mother Teresa founded the Missionaries of Charity and was awarded with Ramon Magsaysay Peace Prize and Nobel Peace Prize. She was canonised in Vatican City by Pope Francis on her death anniversary (Sep 5, 2016). This pencil sketch is my trial for doing human face correctly. Hope to do better in future.